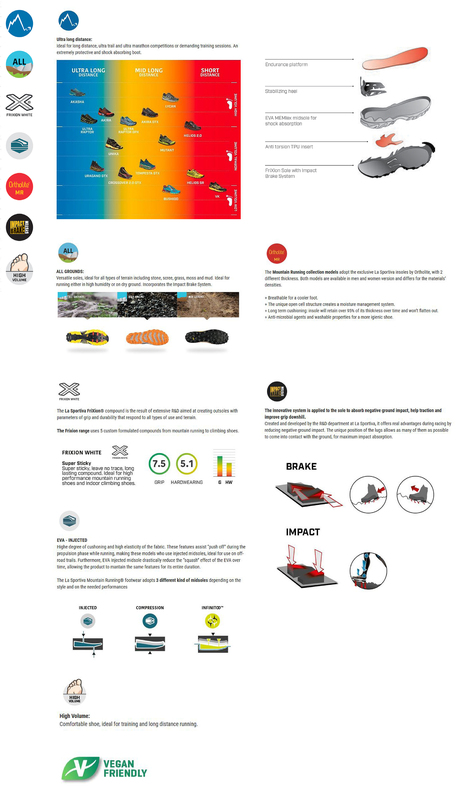 Created for off-road, endurance trails, ultra marathon competitions and long trail sessions. The Ultra Raptor is an all-terrain Mountain Running® shoe perfect for long distance runs on burly trails. A full-length rock guard and an ultra sticky rubber outsole offer maximum protection and stability, while AirMesh uppers keep your feet comfortable and cool. UPPER: Breathable air-mesh with microfibre reinforcement, abrasion resistant coating and an 'endurance platform'. The uppers are assembled on a compression molded EVA platform.